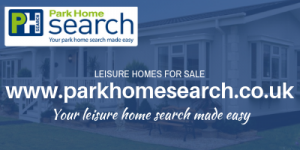 Park Home Search is a free online service that connects both buyers and sellers of leisure homes throughout the UK and it’s completely free of charge to use. There are no costs to either a buyer or a seller and it’s the perfect place to find your new dream leisure home. Whether you are looking for a leisure home in the North, West. East or the South of England searching for your new leisure home just got easier. 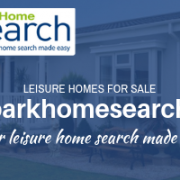 Park Home Search is the place to look if you are looking to find your new dream leisure home as there are hundreds of leisure homes for sale and you can browse 24 hours a day at your own convenience. 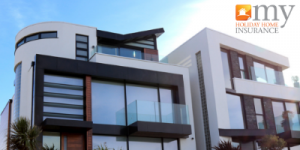 If you are not able to find the leisure home you are looking for, you can register to receive information about new leisure homes for sale in some beautiful locations in the country, as and when they become available. How Park Home Search Works. 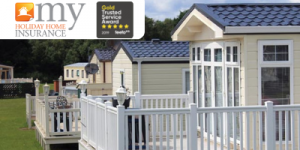 Manufacturers and park operators add their new leisure homes available on Park Home Search. This is free for both manufacturers and park operators which encourages them to list as many homes as they have, as soon as they are available. 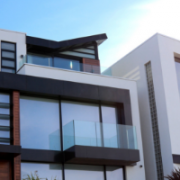 Buyers can search the website for their preferred leisure home according to their preferences and this can be filtered down to the location, type of home and whether they want to rent or buy the home. Relax and let Park Home Search do all the work. If you prefer, you can register your details with Park Home Search and your information will be passed on to the relevant park operators. The park operators will contact you when new homes become available in your chosen location and all information is GDPR compliant, so your data is secure. What’s the benefits for the seller? Manufacturers can list as many leisure homes as they want, it’s completely free and park operators can advertise any plots they have available at no cost too. Open days and weekends are also advertised on park home search by manufacturers and operators, with the option to upload photos, brochures and videos about the leisure homes. The manufacturers and park operators have complete control of their own information as they are able to list, amend, remove and update homes all using one easy form online. 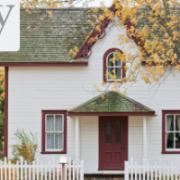 There is the great added feature where sellers of the homes receive email leads from potential buyers interested in their homes providing sellers with complete control. With the above features and much more available to both buyers and seller of leisure homes, there are so many reasons to use Park Home Search. So many are already taking advantage of this free service, so why don’t you! 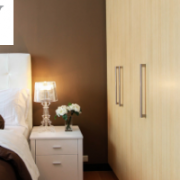 For further information visit www.parkhomesearch.co.uk. For similar topics like this or for general leisure home insurance information, please follow us on Twitter, Facebook & LinkedIn. 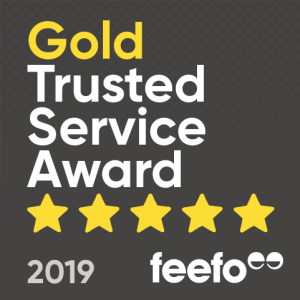 My Holiday Home Insurance is proud to report that we have been awarded a Feefo Gold Trusted Service Award 2019 in recognition for the excellent customer service we provide to our insurance policyholders. My Holiday Home Insurance have been providing specialist leisure insurance cover for holiday home and lodge owners for the past 13 years. We’re one of the UK’s leading providers of holiday home insurance, providing you with a personal service that comes with total peace of mind. We are a family-run business and believe in traditional values where customer service lies at the heart of everything we do. Every member of our team is dedicated to excellent customer service and providing each customer with the very best customer experience, from the moment you first ask for a quote, through to renewal. all reviews are verified as genuine, the accreditation is a true reflection of a business’ commitment to outstanding service. 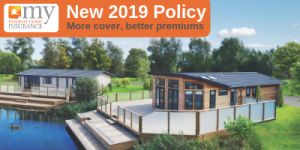 My Holiday Home Insurance met the criteria of collecting over the required number of reviews between January 1st 2018 and December 31st 2018, with a Feefo service rating of between 4.5 and 5.0. To be recognised by Feefo for the service we provide to our customers is outstanding and this award is a true reflection of our commitment to customer service. 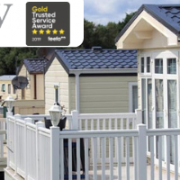 We are absolutely delighted with the Feefo awards and we would love to help you save money on your holiday home insurance renewal, while providing you with excellent customer service. Speak to one of our specialists today by calling 0800 988 0890. Take a look around our website for more information on holiday home insurance and holiday lodge insurance. 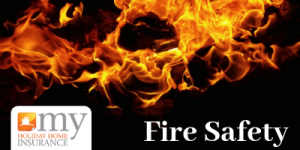 To keep up to date on similar topics like this follow us on Twitter, Facebook & LinkedIn. 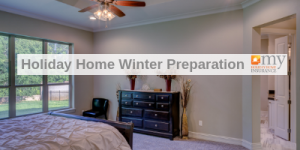 After such a long, hot summer, Autumn is upon us and it’s time to prepare for winter. Cold bright winter days are an ideal time to go for countryside or coastal walks when holiday resorts are less crowded, and it’s a great time to see wildlife. 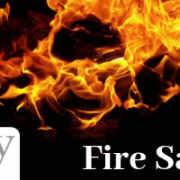 It’s a good to plan ahead now and take a few precautions to ensure that your holiday home provides a cosy retreat in the colder weather. 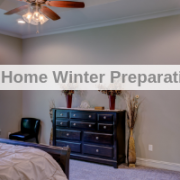 Taking these steps could help you to avoid the stress of having to make a claim and allow you to enjoy your holiday home in the winter months. 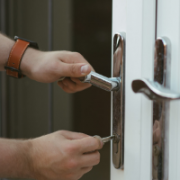 If you’ll be staying in your holiday home less frequently, then check your insurance policy for conditions relating to unoccupancy and see the information below as a general guide. 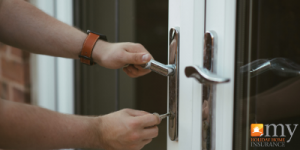 If your holiday home is left without an occupant for 60 consecutive days or more you must ensure that a responsible person is appointed to supervise and check the property both internally and externally at least once every 60 days. Between 1st November and 31st March (both days inclusive) if the holiday home is left without an occupant for more than 48 hours you must ensure that the main water supply is turned off by means of a stopcock at the first available point of entry of the water supply to the home. Where the home is left without an occupant for 14 consecutive days, in addition all water tanks must be emptied by leaving both hot and cold kitchen taps fully open. The entire home benefits from a heating system (either gas or oil -fired central heating or a geothermal or full electric heating system – not night storage heaters) fitted with automatic controls and a separate thermostat. The system must be set to operate continuously for 24 hours of each day (not controlled by any timing device) and the thermostat set at not less than 10 degrees Celsius and, where fitted, the loft hatch door left open. If the heating system as described above is installed and is additionally fitted with a “frost stat” that is designed and installed to override all other heating controls, irrespective of their functional status, then this may be set to operate at not less than 4 degrees Celsius. 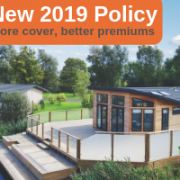 If you have any queries about the conditions of your holiday home insurance policy, then see the example holiday home insurance policy or call our customer service team on 01604 946 787. 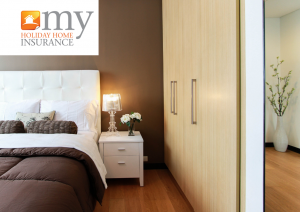 For more information or to keep up to date about holiday home insurance, please follow us on Facebook, Twitter and LinkedIn.